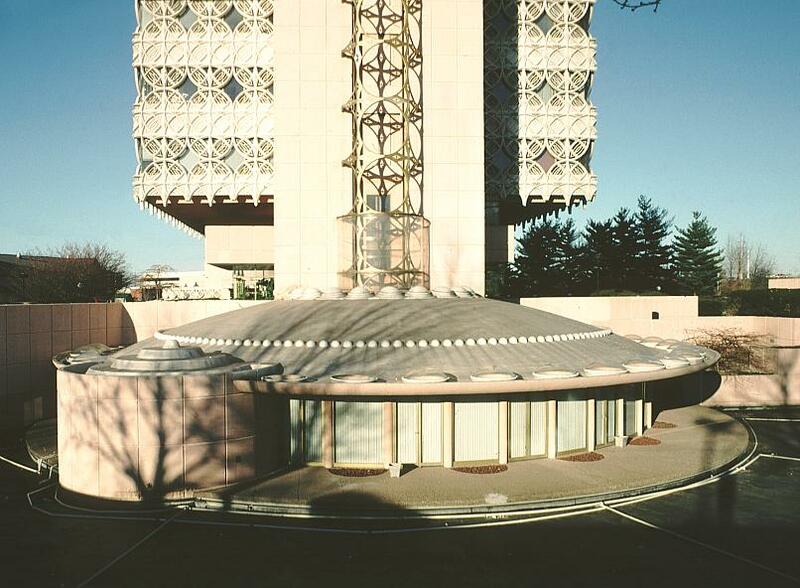 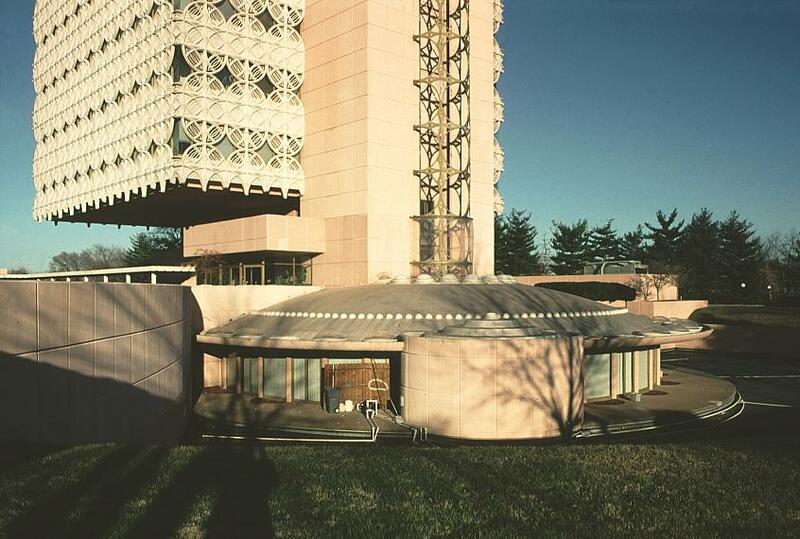 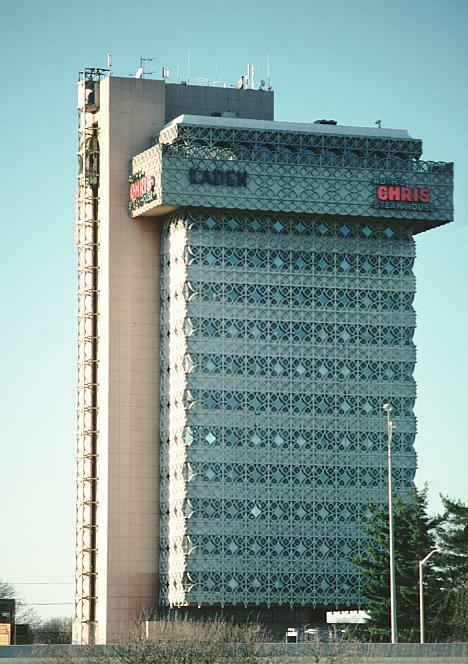 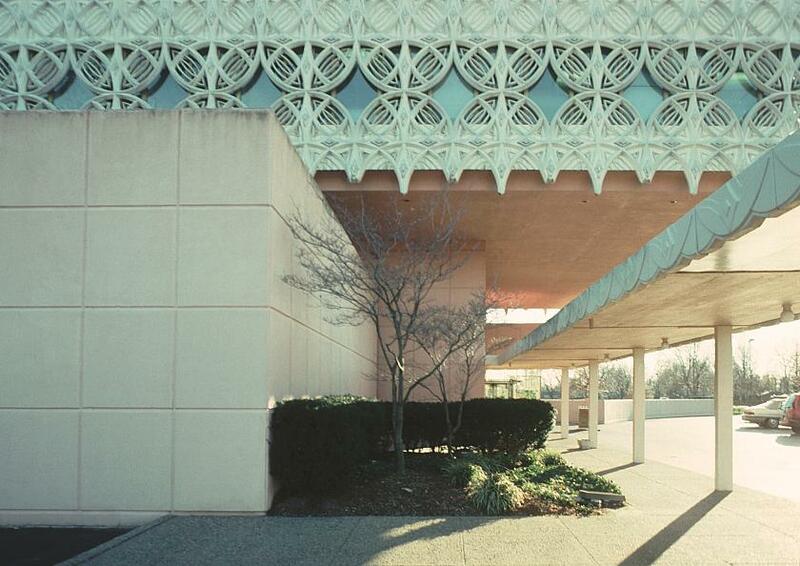 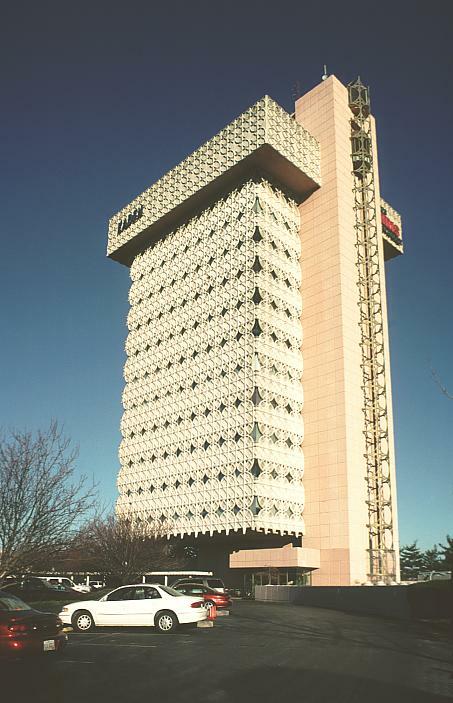 The Kaden Tower, actually designed by William Wesley Peters and Taliesin Architects (Wright's successor firm), is based on a late 1940's Wright design for a hotel for India. 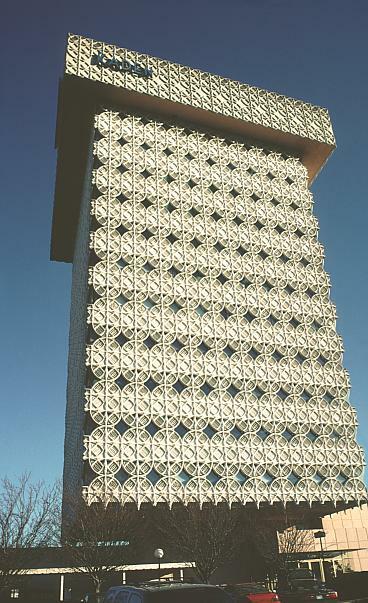 The 15 story skyscraper consists of a central core, with cantilevered steel beams and the floors suspended from the beams. 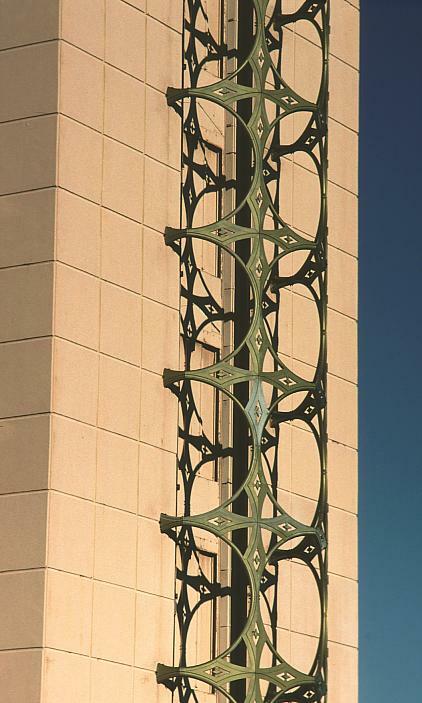 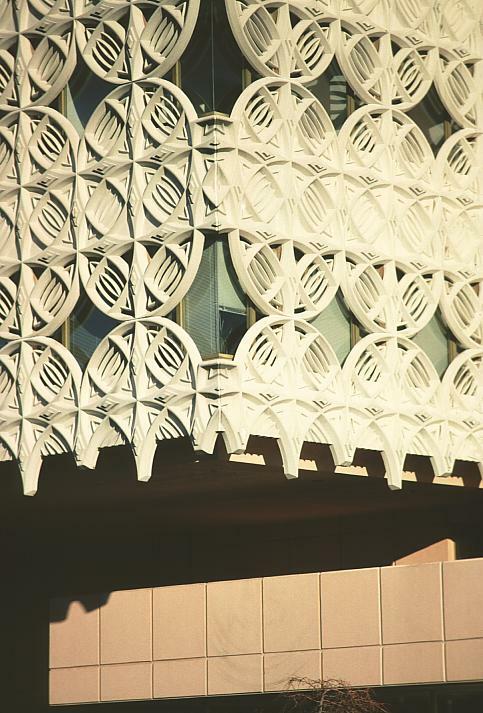 Since it had originally been designed for the climate in India, the lacy grill work would have been practical in an environment lacking air-conditioning. 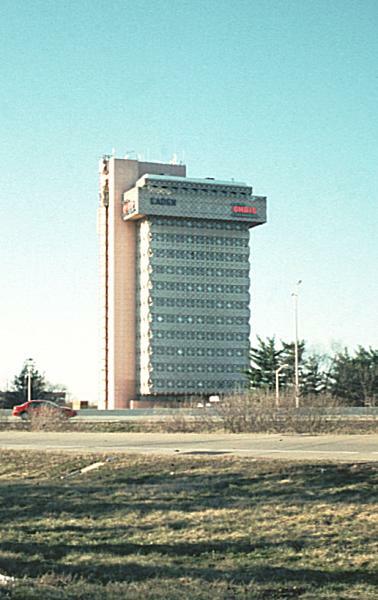 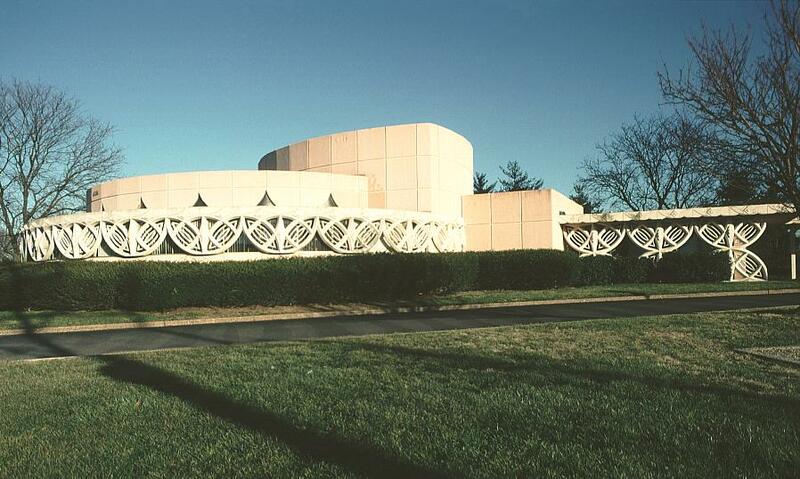 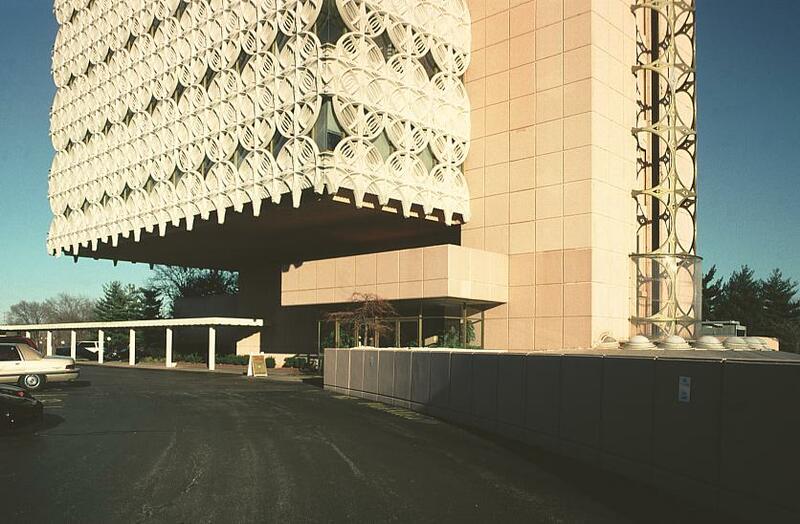 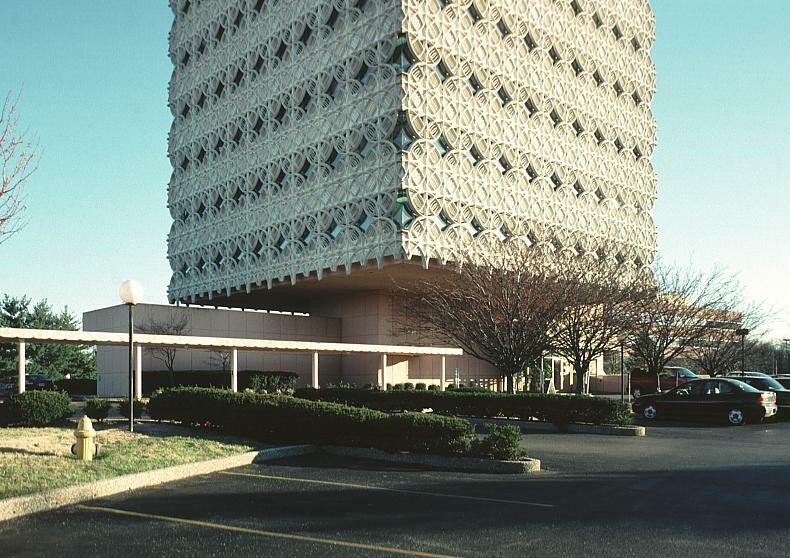 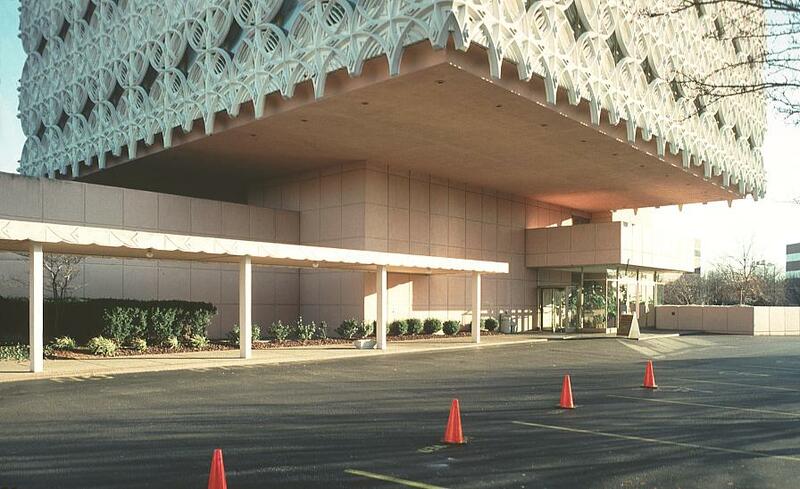 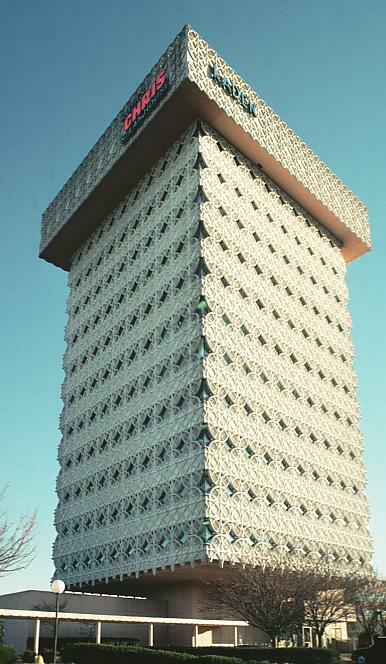 The building is not universally loved in Louisville and is sometimes referred to as the concrete Kleenex box or the Pink Monstrosity.